USAID invests in health systems strengthening (HSS) to promote country ownership and sustainability, scale-up solutions, and promote greater efficiencies in investments. Sustained improvements to reproductive, maternal, newborn and child health (RMNCH) cannot be achieved through a stand-alone program or individual interventions. High-impact interventions can only be sustained at scale if they are integrated into existing health system structures and processes, with simultaneous efforts to address the weaknesses within those same structures and processes that constrain performance. By undertaking system strengthening activities that directly support delivery of high-impact RMNCH interventions, MCSP will leave behind managers at national, sub-national and facility levels more capable of mobilizing available resources and addressing existing and future system bottlenecks to achieve sustained quality and coverage. Strengthening the health system does not just mean working in one of the six health system building blocks – achieving sustained health system improvements requires changing how the system works. HSS means going beyond building block inputs to purposely managing interactions between different parts of the system, and changing policies, organizational structures, and behaviors that drive system performance to improve equity, coverage, quality and efficiency. Because MCSP is focused on improved RMNCH outcomes, its approach to HSS focuses on barriers that directly affect service delivery. By assisting managers to harness system-wide HSS initiatives to support RMNCH objectives and piloting HSS approaches that are important to RMNCH performance, MCSP identifies and prioritizes addressing the system weaknesses that can have the maximum impact on RMNCH outcomes. Strengthening health worker motivation, support and accountability systems to complement innovative capacity building methods, ensuring health workers are not only well-trained, but also motivated and supported to provide high-quality services, and held accountable to managers and users. To download MCSP’s health systems strengthening fact sheet, click here. In Mozambique, Rwanda, Nigeria and Guinea, the Rapid Health Systems Assessment (RHSA) was used to quickly diagnose operations and management challenges at the sub-national level, impacting RMNCH services and Program activities. Findings from the RHSA have helped to improve referral networks, prioritize key areas for overall health system strengthening, and identify existing assets to enhance the feasibility and sustainability of planned and ongoing MCSP activities. MCSP developed an equity dashboard that provide an analysis of coverage disparities across RMNCH indicators in Program supported countries. The dashboard provides a snapshot of equity and inequity based on wealth, education and urban/rural residence, and trends across MCSP supported countries within priority technical areas. The dashboards were presented to country staff via webinar and sent to targeted MCSP Chiefs of Party to be used in discussions with country counterparts and mission staff to examine and address equity issues in programming. At the global level, the Program has continued to implement the Comprehensive Approach to Health Systems Management to help countries accelerate and sustain increases in coverage, quality and equity. Through the application of the approach, MCSP helped district health managers in Guinea and Tanzania identify local health system assets, develop contextualized systems strategies, and identify gaps and bottlenecks to the delivery and uptake of RMNCH care. The Program conducted financial analyses to generate practical cost data to empower decision makers to better understand, analyze and advocate for their programs or packages to achieve financial sustainability and scale-up. Aligned with USAID’s vision for HSS to promote country ownership and sustainability, MCSP supports long-term planning for primary health services in Ghana, Helping Babies Breathe/Essential Newborn Care and postpartum family planning in Rwanda, and the roll-out of an essential package of child health services in Uganda. 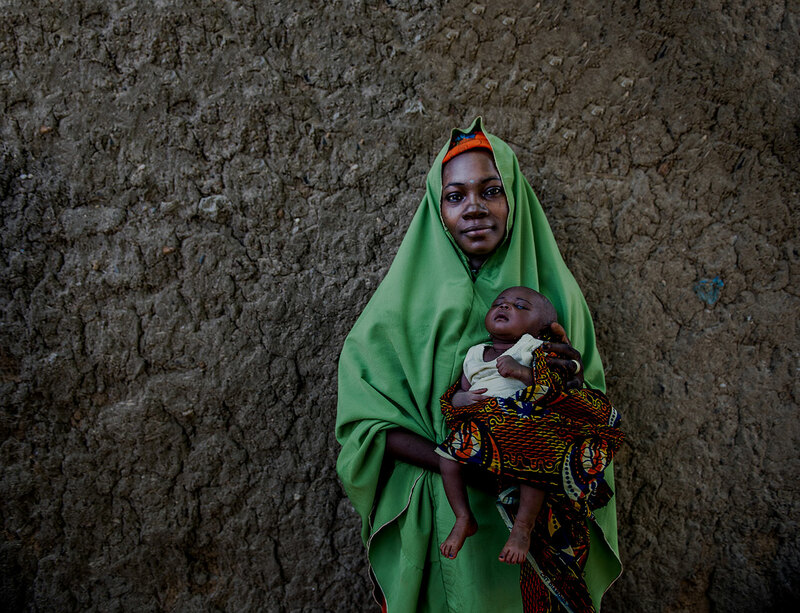 Half of the world’s population lacks access to one or more essential health services. Every year, 100 million people are pushed into poverty and 150 million people suffer financial catastrophe because of out-of-pocket expenditure on health services. Globally, there is a gap of 7.2 million professional health workers, set to rise to 15 million over the next decade. 83 countries face a health worker crisis and are unable to meet the basic threshold of 23 skilled health professionals per 10,000 people. 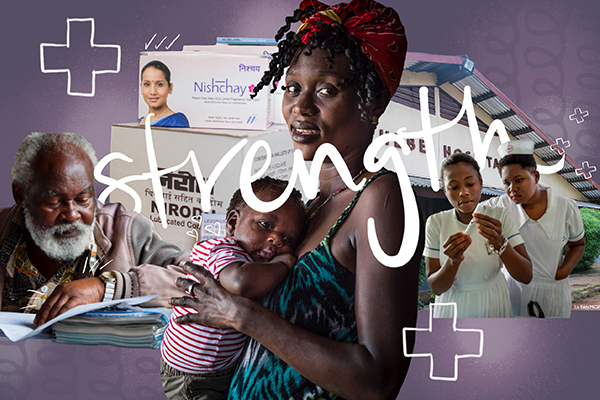 USAID estimates that scaling up evidence-based health activities across the core functions of health systems would save the lives of 5.6 million children and 260,000 women from 2016 – 2020.